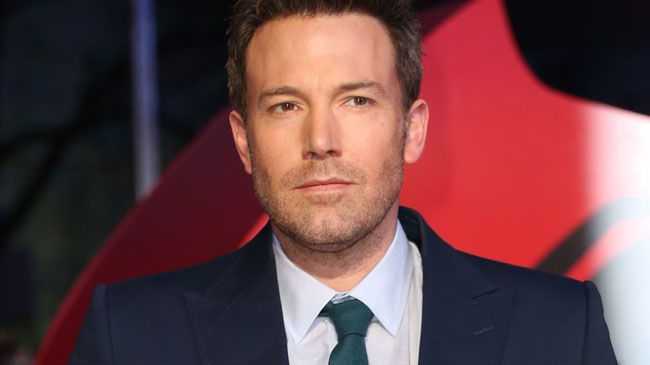 BEN Affleck has felt "vulnerable" since he became a father. The 44-year-old actor - who has daughters Violet, 10, Seraphina, seven, and four-year-old son Samuel with his estranged wife Jennifer Garner - has admitted after having children he has become more sensitive and scared for his brood's safety. Speaking to PEOPLE about his fears as a parent, the dark-haired hunk said: "When you have kids, what's that expression, 'Your heart is outside your body,' all of the sudden you feel so vulnerable and this fear of a child being vulnerable is very very powerful." And Ben has revealed he faces "dilemmas" on a daily basis, and is constantly questioning his parenting skills. He said: "I face dilemmas that we all do everyday about what's the right way to raise children, what's the right thing to teach them? Every moment there comes a crossroad." And the 'The Accountant' star - who has been cast as mathematics savant Christian Wolff in the upcoming crime drama - has admitted his paternal duties has helped him to understand the film, which sees him grow up with an abusive father who is only hard on his son out of love. The Hollywood hunk explained: "I can see why it made for a really interesting character in the father. Here's a guy out of love and compassion and fear for his son, actually ends up kind of brutalizing him and abusing him and it's a really interesting look at what's the appropriate way to channel the intense emotions we have as parents, it's not easy. "That's what I thought was the most heartbreaking thing about the story and it was definitely moving to me as a parent." Meanwhile, Ben has admitted he refuses to let his family watch his films, especially not the forthcoming movie, until they reach 25 years old. "They just want to know what the rating is. [I'm like] 'You can see this when you're 25.'"